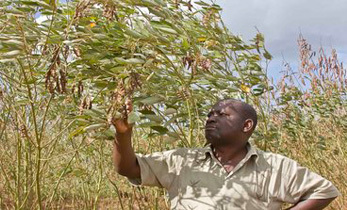 Can Niger claim its rightful place on the food production charts? 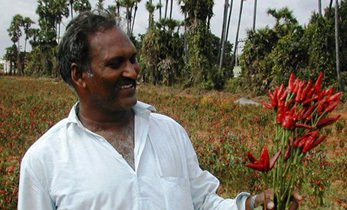 A group of scientists working with smallholder crop-livestock farmers believe strong market linkages may be the missing ingredient. Researchers from ICRISAT, International Livestock Research Institute (ILRI) and French Agricultural Research Centre for International Development (CIRAD) met with a stakeholder group on 12 March to discuss ways to enhance livestock productivity. The members of the group, an innovation platform comprising famers, butchers, veterinarians and others in the value chain, pointed out the need for access to good quality animal feed, improved veterinary care and market access. Niger exports livestock and meat, and has earned a reputation for quality livestock production in West Africa. 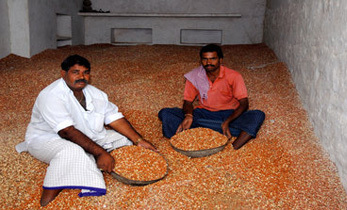 Food insecurity, however, persists in the villages of the country. Integrated crop-livestock management approaches are being explored to increase production of food sourced from animals and to improve rural livelihoods. The interventions discussed at the meeting were simulated in a whole-farm modelling system to demonstrate impact on farm incomes. “We shared with the platform members a few whole farm modelling scenarios for three farm types to illustrate the potential impact of adoption of fodder and market interventions. 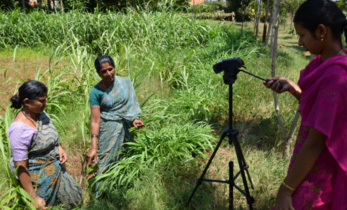 Such demonstrations are convincing and can help motivate stakeholders to quickly adopt interventions,” said Dr Shalander Kumar, Principal Scientist, Innovation Systems for the Drylands (ISD), ICRISAT. The meeting was organized as part of a project titled ‘Enabling Value Chains to Create Sustainable Income for Vulnerable People in Crop-Livestock Systems of Burkina Faso and Niger’. It is funded by USAID through Feed the Future Innovation Lab for Livestock Systems. The project was launched in 2018 to increase production of animal source foods through integrated management of crop-livestock systems, notably with the participation of small-ruminant livestock keepers. 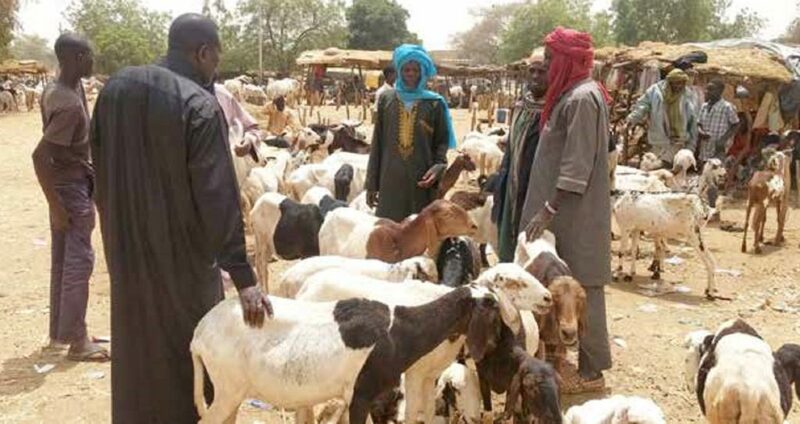 To improve market linkage, researchers visited the animal and fodder market in Niamey to understand animal trade and local conditions that drive it. “The visit helped understand the unique nature of animal trade corridors across countries in West Africa. We also saw the impacts of regional policies and events, and currency fluctuations on the trade in Niger,” Dr Kumar added. 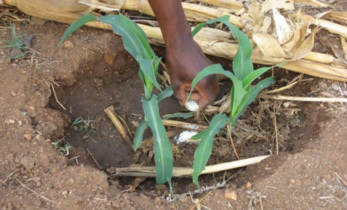 The project aims to promote dual purpose crops as fodder, livestock services, connect producers with markets and identify niche markets for livestock producers. The project is expected to improve the livelihoods of over 80% of rural population in the study region of Niger and Burkina Faso that depends on livestock and agriculture. 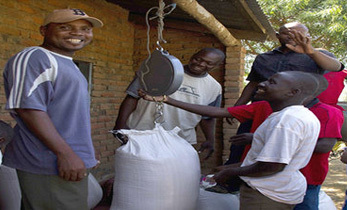 Funder: USAID under the Feed the Future Innovation Lab for Livestock Systems under the coordination of University of Florida. Partners: International Livestock Research Institute (ILRI), New Mexico State University (NMSU), Conseil National de Recherche Agronomique (CNRA), Institute de l’Environnement et de Recherche Agricole (INERA) and Resilience and Economic Growth in Sahel - Enhanced Resilience project (REGIS-ER).